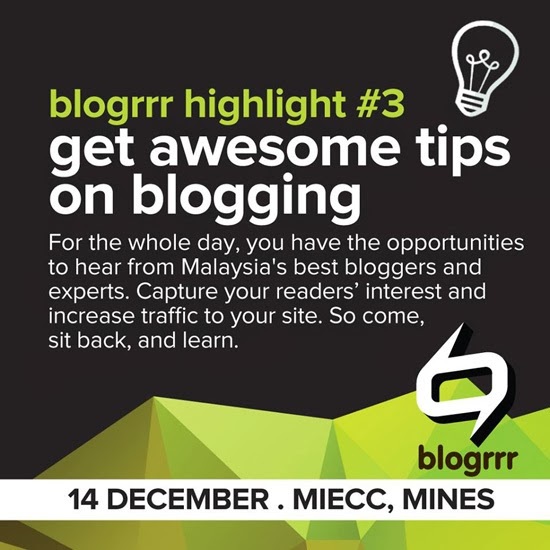 Meet Us at The Largest Blogger Gathering in Malaysia, MINES on 14 Dec 2013! 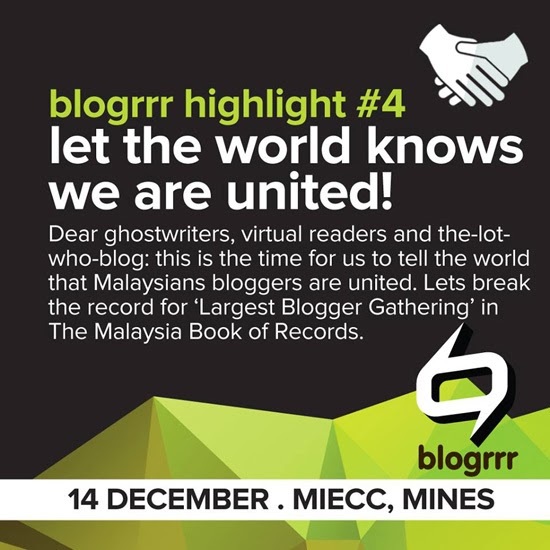 I am very excited to invited by the organiser, MYNIC @ BLOGRRR event on my first time! It is FREE Admission for all bloggers, non-bloggers, geeks, families, facebookers, photographers, profesionals, and many people around the world! Google Malaysia, MYNIC, Shopifty, Harian Metro and other experts will share the blogging tips in their classes during this events! #blogrrr: Blogger Most Wanted 2013 is an event to appreciate and acknowledge Malaysian blog writers in utilising information technology advancement in Malaysia and become the representative of Malaysia's voice in the virtual realm. There will be 12 mini seminars during the event. Each topic will be very useful, practical, and informative to guide you in blogging acivities. This inaugural event will gather around 10,000 bloggers and visitors. This event will definitely be an eye opener for participants to gain the knowledge and exchange ideas, as well as foster business relationships. 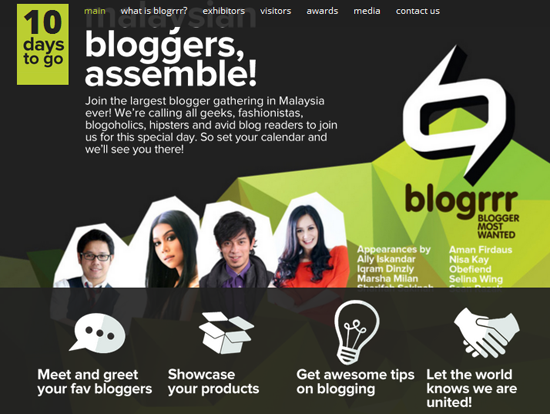 Join the largest blogger gathering in Malaysia ever! We're calling all geeks, fashionistas, blogoholics, hipsters and avid blog readers to join us for this special day. 14 December 2013. MIECC. MINES. See you there! And Meet them in real life, get in touch and then blog about it. Surely an amazing experience awaits you!